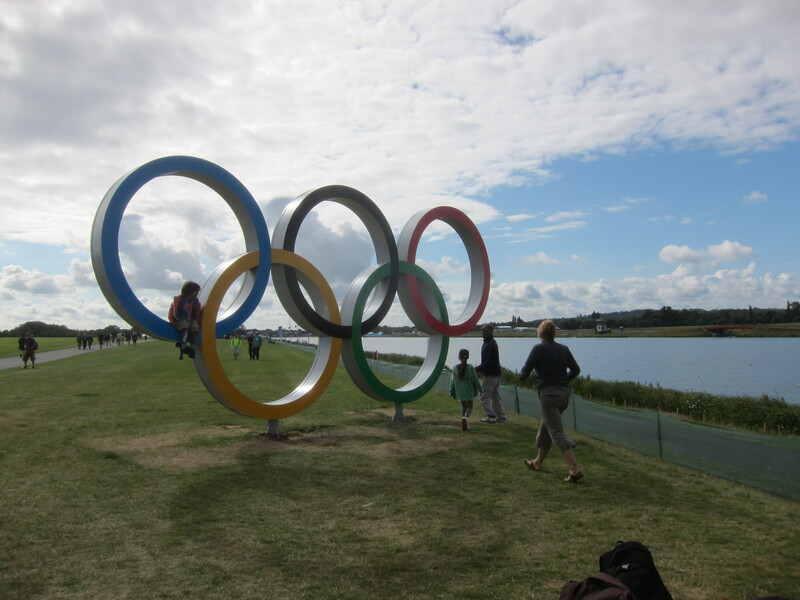 I am still marveling, more than a year later, my luck of actually already being in the UK when the Olympics happened! I thought it would be a nicely timed one, in honor of Mandela, as the Olympics represented peaceful competition and respect, portrayed by each country’s athletes. At Eton Dorney rowing venue. Thank you, Ailsa, at Where’s My Backpack, for inspiring us on these travel themes. Seriously.. unless you lived just around the corner, I have no idea how anyone would have found this place, Foxtrot Oscar. If it weren’t for the Gordon Ramsay name. Unlike his other restaurants in London that I’ve sampled so far, this one has a small neighborhood gem kind of feel. The space was narrow. I felt like our party of five were greedy, taking up three tables that jutted out into the center aisle. Yes, aisle, like a plane. On the opposite side of the room, more like an arm’s reach away, were lined with many couple’s table, with a cushioned wall bench running the whole length of the room. It’s date night on this Saturday evening. The furniture was simple. The accents were minimal, mostly the bold wall colours with the spaces of seat cushions on the bench. Framed photographs hung on the wall, mostly black and white, I believe. I remember finding the one closest to our table confusing because it was of a location unrelated to the restaurant or London, in colour, and seemed disproportionately small compared to the larger frames on the opposite wall. But of the exact subject matter, I have already forgotten. As a person who rarely eats beef, I found my menu choices limited. The menu is already small, more like a dish of every main protein. 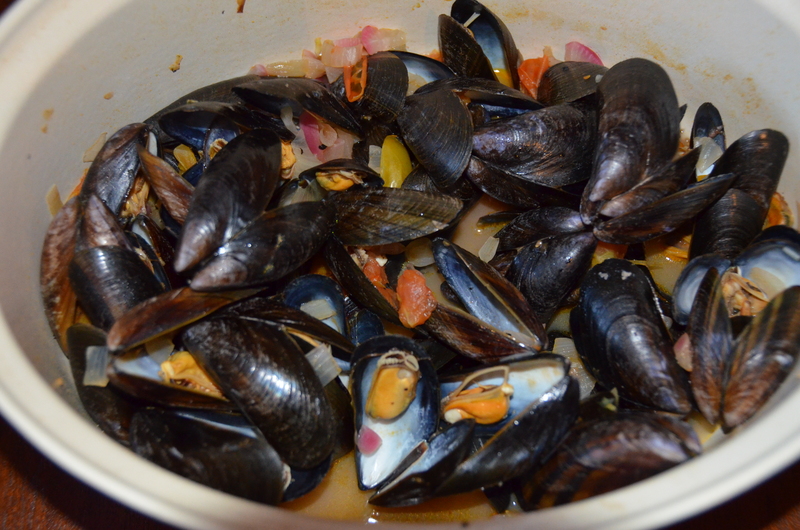 The mussels tempted me, but struck me as a main I would normally be able to make on my own. I didn’t need a Ramsay dish to set the bar so high I would be discouraged from cooking it on my own again! – Dessert… I forgot. Something with salted caramel ice cream.. and fondant? 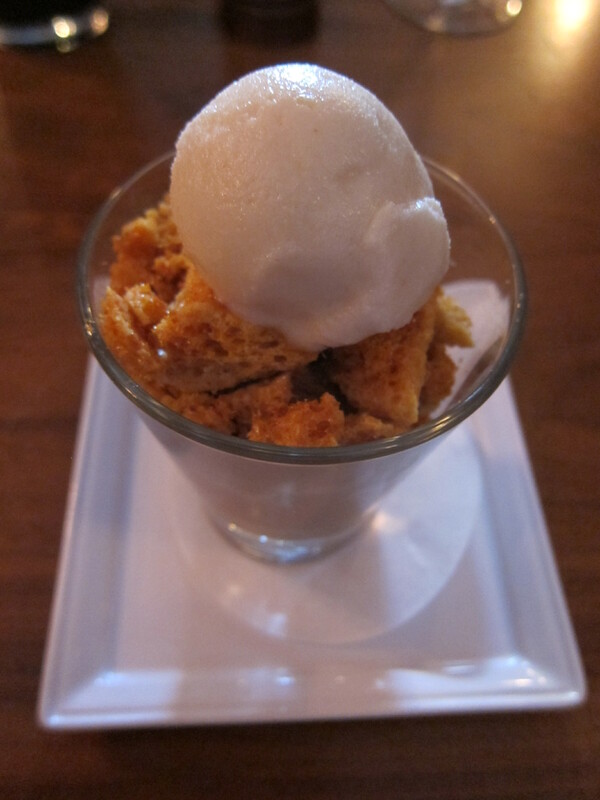 Other than that the honey comb on it is amazing!!! 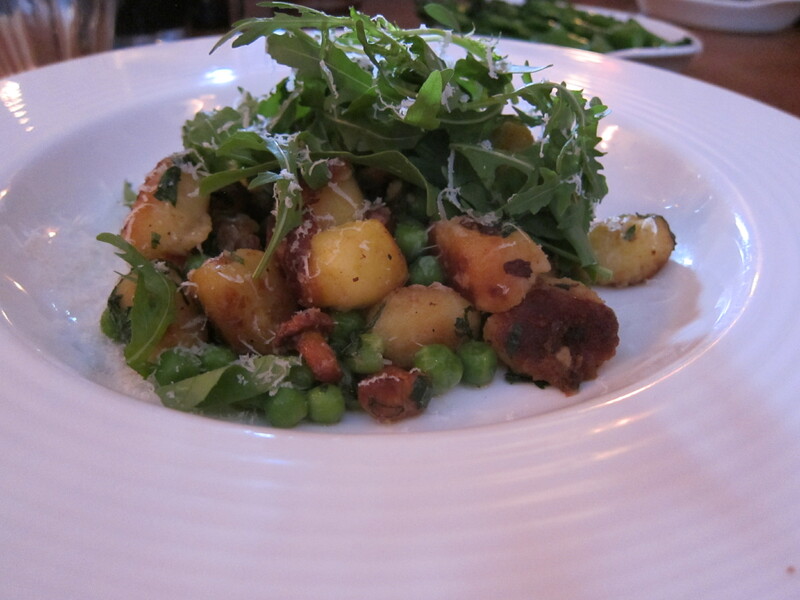 The gnocchi was amazing. I was afraid of the heavy feeling that comes after a carb-rich dining out meal. But the portion was just perfect.. the balance of the peas and arugula helped prevent the sense of coming down with scurvy. And the gnocchi were crispy! Making it super yummy and a bit different. I had to resist licking my bowl. I think its small size makes service confusing. In larger places, the wait staff are assigned zones. Given how small this restaurant is, we seem to be served by every single member of the front of the house staff. Shouldn’t be a big deal but we’ve caught the team in their communication gaps. Each person was extremely gracious and helpful, but as a team, not as cohesive. Which is such a shame, because I couldn’t find a thing to complain about the food. 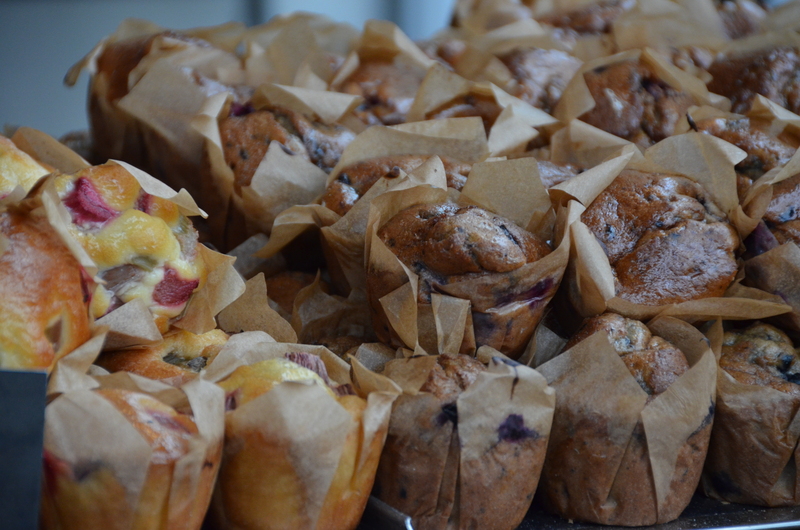 The part that impressed me about this bakery: they had ovens on the spot at the Taste of London 2013 tent. I thought they were a French company.. and turned out it was based in the Netherlands!! I’ve tired of hearing so many people rave about the Borough Market only to sheepishly respond that I’ve never been there. Now I understand the appeal. It’s unusual to me.. Its fascinating history doesn’t reflect. Architecturally, it’s surprisingly uniform in style, if not in layout, and orderly, despite being grown over time, not as a planned market. 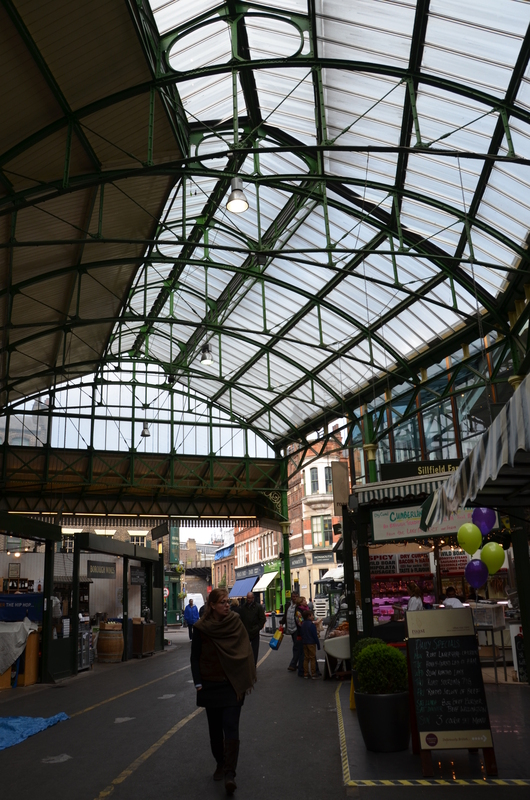 One of the oldest markets in London, it pre-dated the railway tracks that now shelter it. It sits on the southern bank of the Thames, a very convenient location for boat traffic. It wasn’t hard to imagine what a bustling market it must have been back in the day. The market is largely covered. A corner extended outside, but was partially sheltered by the railway above. Clearly gentrified, the entire market was furnished with green fencing and doorways. A path is marked to keep pedestrians walkways clear. The products featured felt both varied and monotonous. 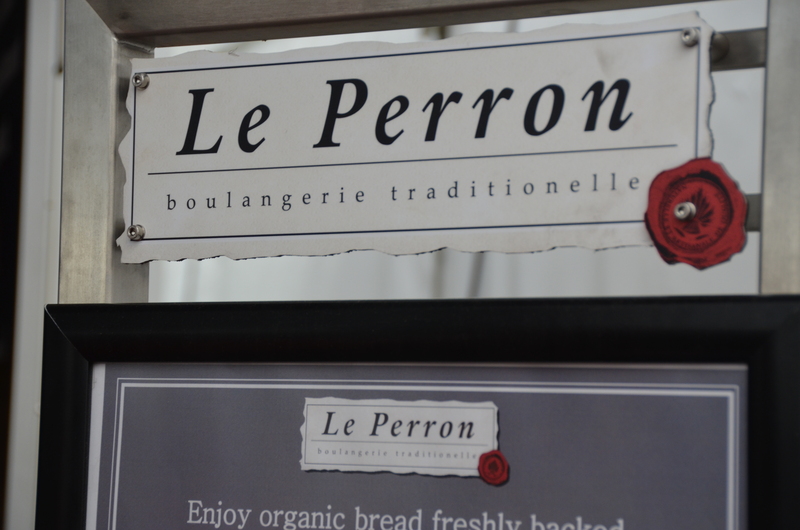 There were quite a few bakery stalls, featuring very similar breads and pastries, even though they tried to carve out a niche: I am French inspired! I am organic! I feature potato dough! Fresh produce was surprisingly sparse while displays of jams and oils and other non-perishable products rather established. I found only a handful of seafood stalls, disappointing given the proximity to the water (and the lack of good ones near my residence). While some things are reasonably prices, the other half the stalls felt expensive. £6 for two small Portuguese egg pastries! Loaves of bread are cheap, individual pastries, expensive. While I do favor artisan vendors, I’d be hard pressed to be convinced that I should come here instead of the closest market to my home. Personally, I prefer the crowds and smells of a wet market, even the sticky wet floors. This one, I felt, was yuppified. The vendors weren’t even shouting. Or mingling, for that matter. Maybe I came at a wrong time.. that I should have come during the traders’ hours, not when it’s for the pedestrian customers. I’m a sucker for any market, though.. and I walked away with a full carrier bag. Souvenir double oven mitts, a loaf of rosemary bread, potato buns, chocolate, a mesh sack of mussels. Guess what I’m having for dinner tonight. My first homemade mussels.